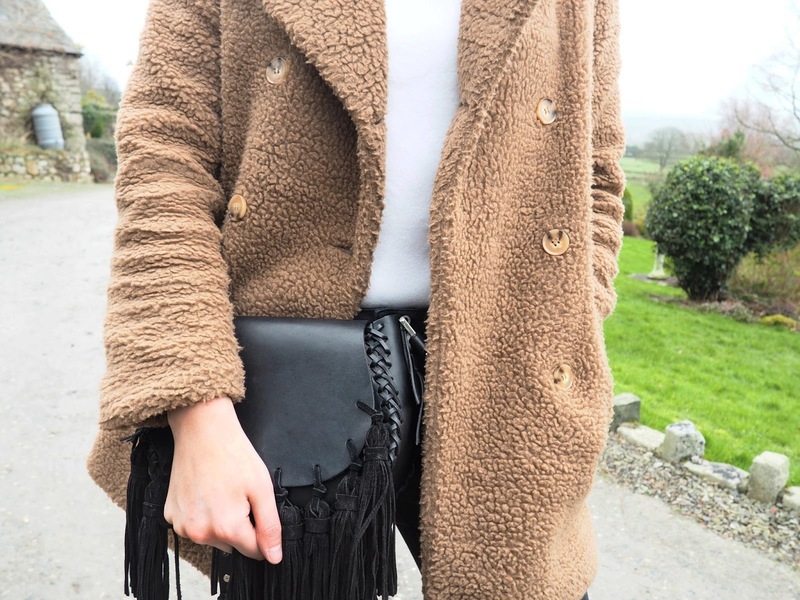 This Teddy coat from Missguided seems to be my most worn item at the moment. It's just so warm and cosy but still looks chic. And there's nothing better than being warm and fashionable (being cold is SO overrated). Now, these shoes may look like the Gucci Princetown shoes seen on the feet of every it girl alike, but these, dear followers, cost a fraction of the price. And by fraction, I mean they cost around £15. They came from my favourite dupe website, Ali Express, and you can get SO many look alike bit's online there. I may get a few funny looks when I wear these out, but I just love them. And they are SUPER comfy too. I may look like I've worn my (very stylish) slippers to go out, but so what. I like them and that's the main thing isn't it. From Gucci dupes to genuine Gucci, these gold and tortoise shell sunnies are perfect for summer and it's nice to have a daintier pair of sunglasses for a change. I kept the rest of my look simple with my trusty Zara short sleeve polo and my DIY'd crop flares. You can shop my look below as usual. i have this coat! wear it all the time, it's so cosy - i definitely have to be warm as well!